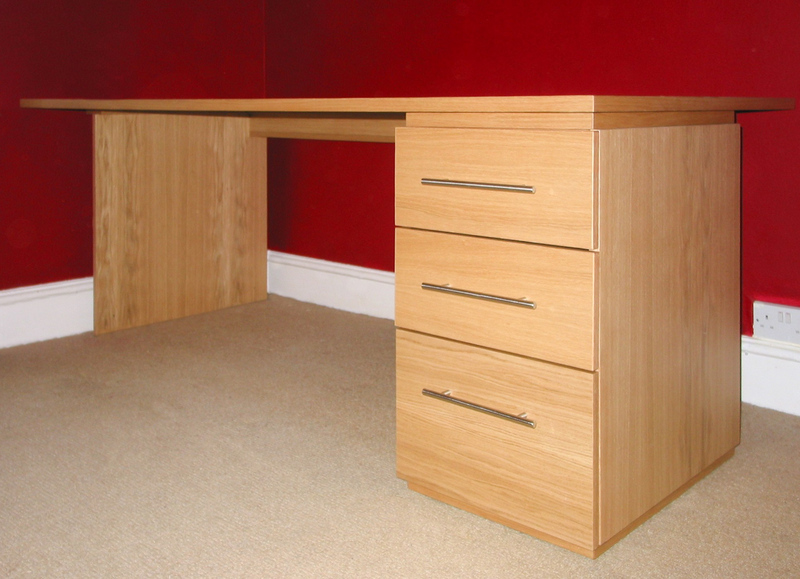 Custom made oak veneer desk, free standing. 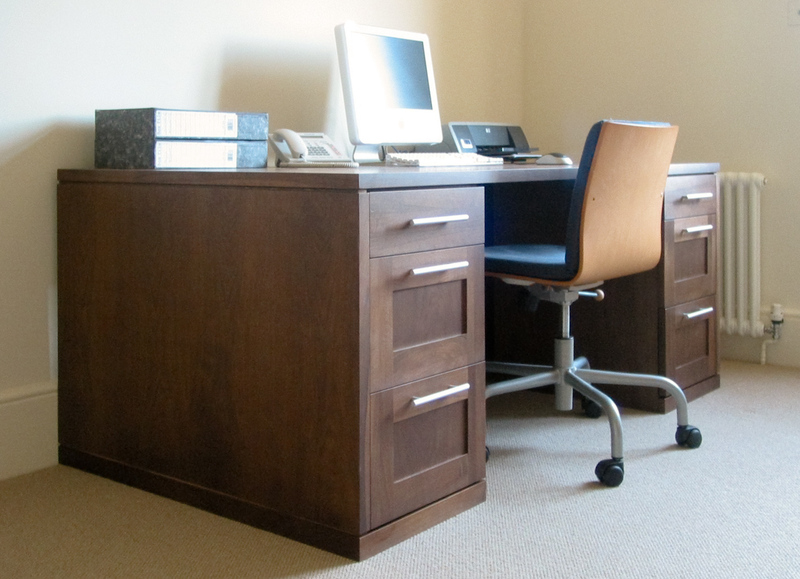 This dark stained walnut bespoke desk provided our client with plenty of work space with this 85cm deep desktop with plenty of legroom and built-in soft closing drawers. 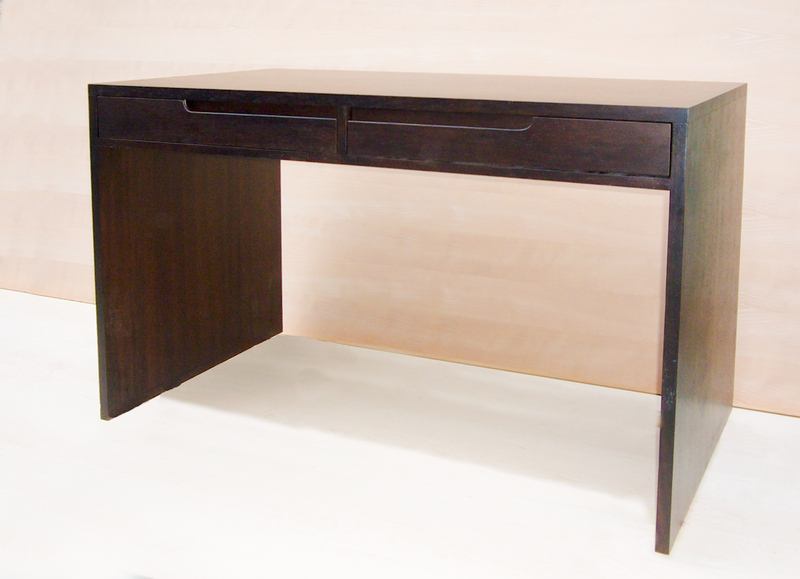 Another bespoke desk in wenge wood with an integrated 'finger recess' instead of a conventional handle to create a 'clean lines' design. 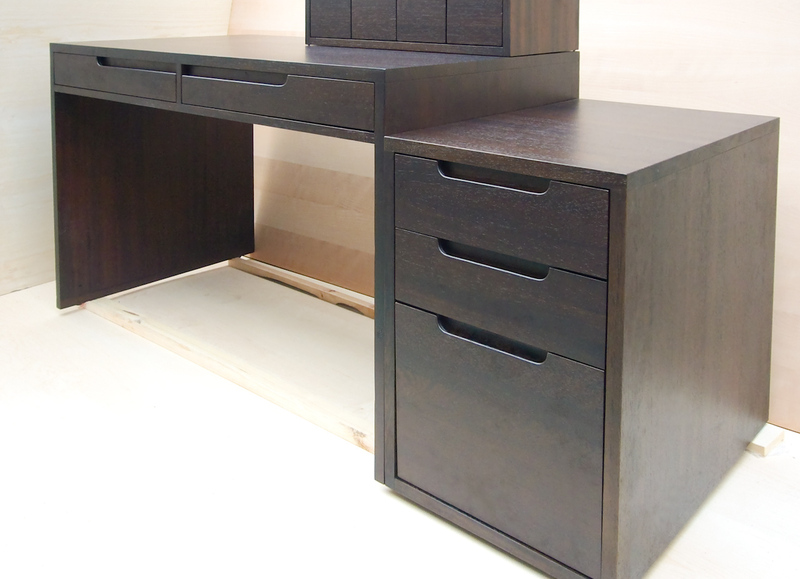 Wenge wood custom designed and crafted desk with built-in soft closing drawers and smaller letter sized drawers above. 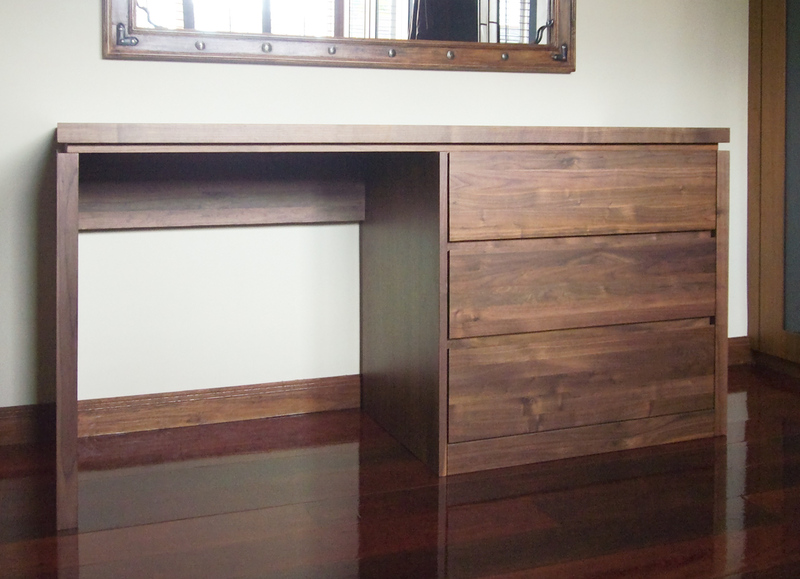 Walnut desk, free-standing and custom crafted to create a very 'clean lines' contemporary design with the soft closing drawers opening from groove profile in the top edge of each drawer front which creates a 'shadow-line' effect. 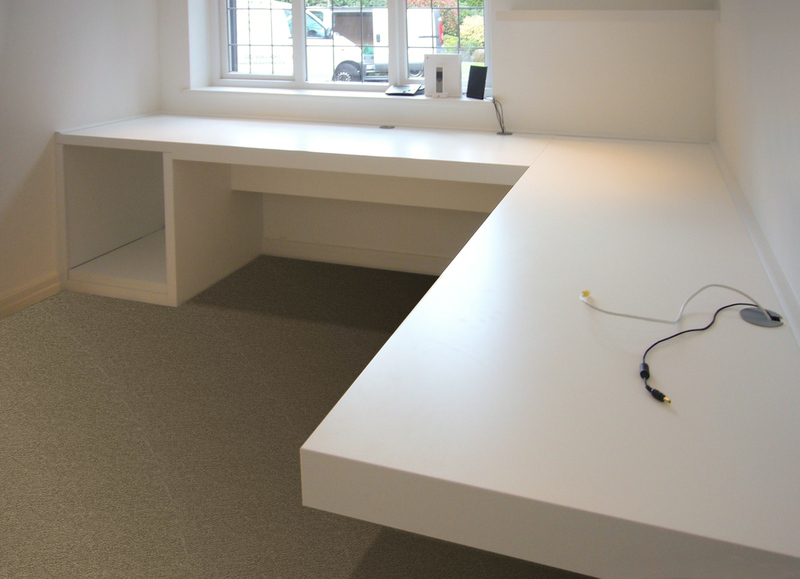 Simplicity is the key to this minimalist home study. 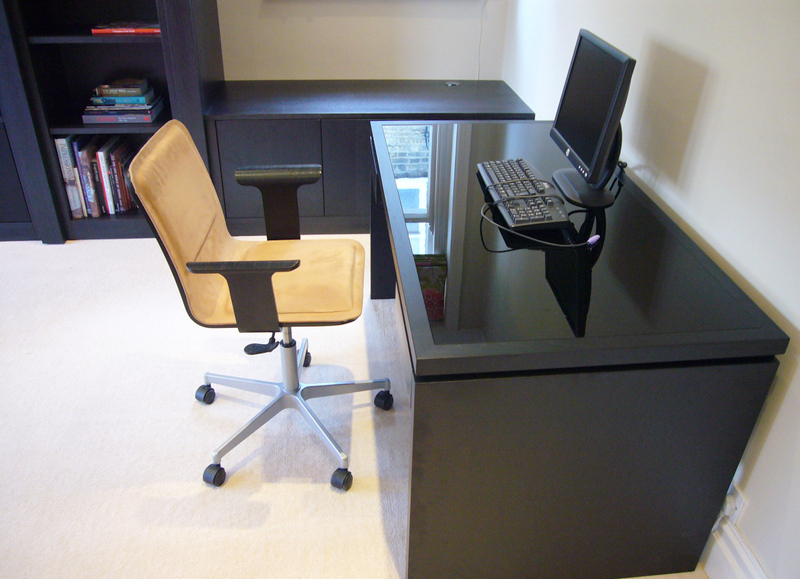 The chunky 10cm thick desktop gives an expensive and contemporary feel. 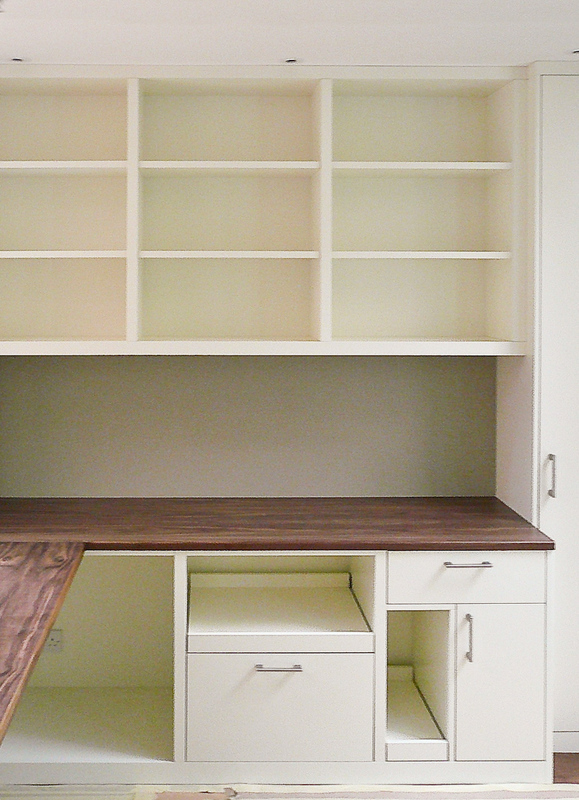 This piece is finished in a satin white spray painted lacquer. 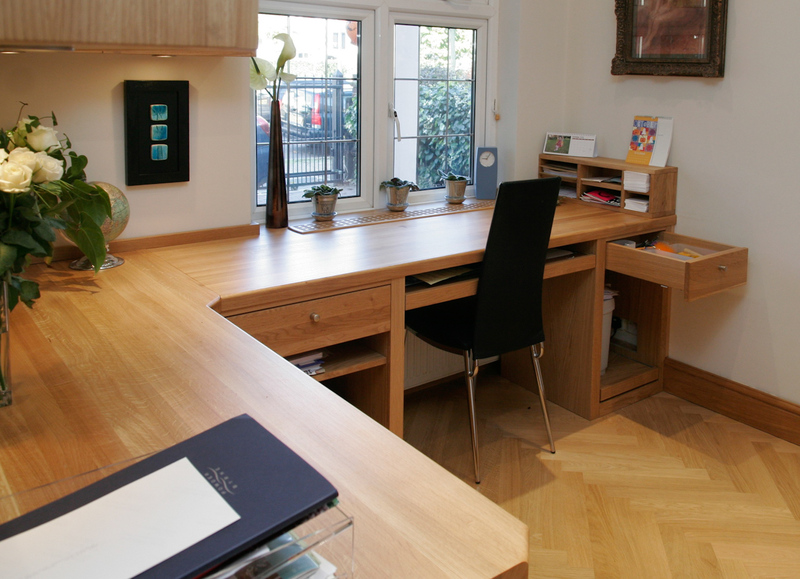 This built in study is crafted in solid oak. 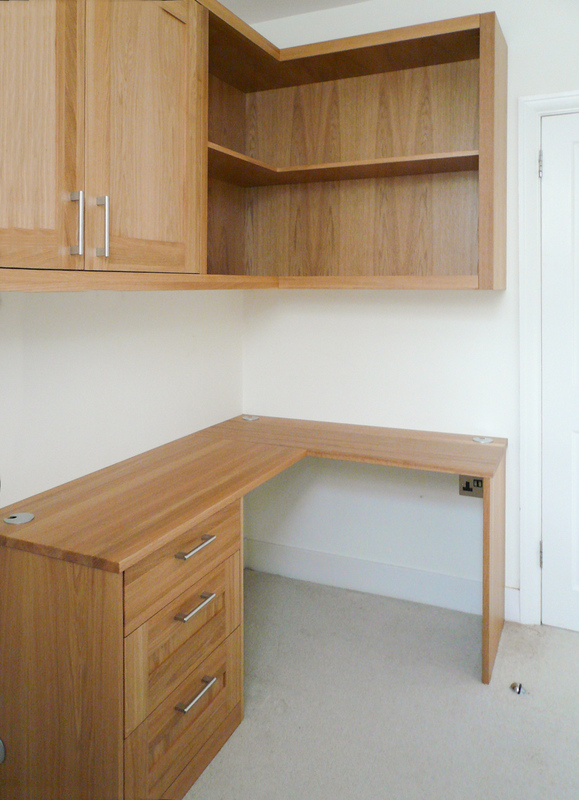 We have Integrated the printer and shredder as well as a custom made pull out hanging file system and keyboard shelf. 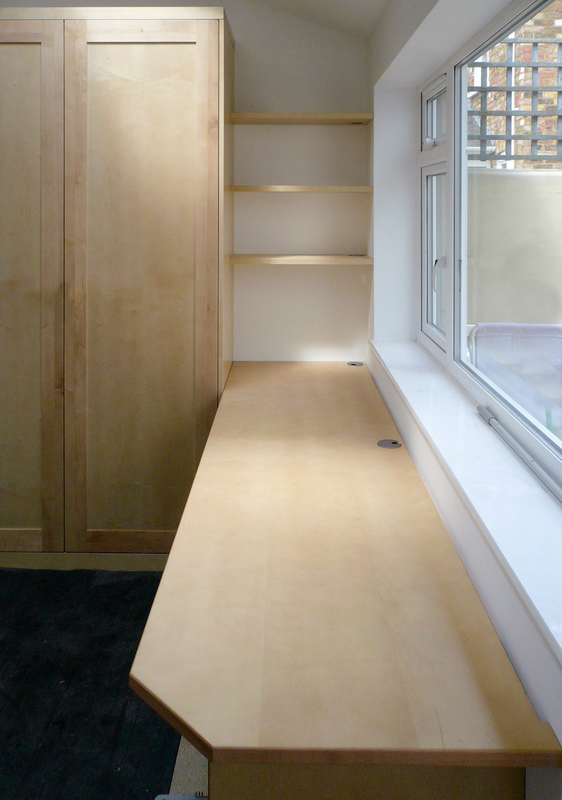 The top wall mounted units are a combination of open shelving and cupboards with LED lighting to the underside of units.